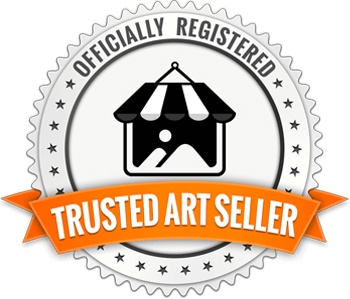 Dendrobium art, a tropical nature watercolor painting of Dendrobium orchid flowers. 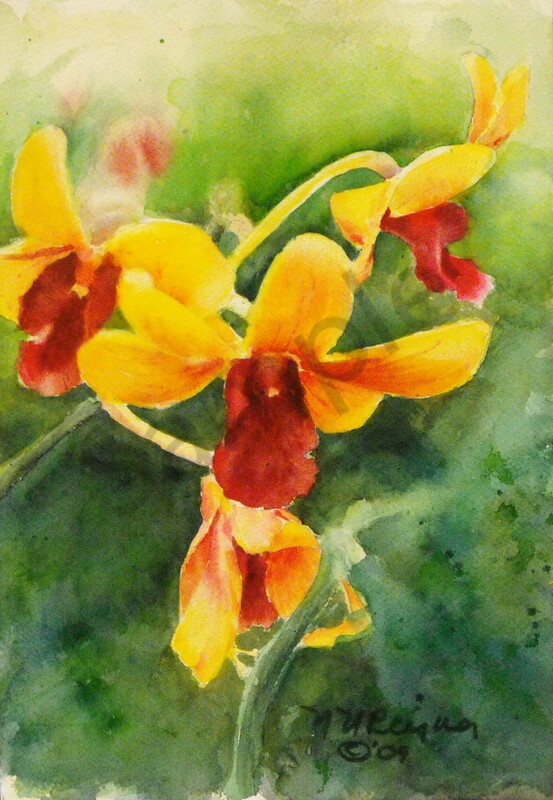 Watercolor painting of a spike of yellow and red Dendrobium orchids floating above the green they were born in. Their graceful shapes look like fairy dancers of the rainforest.